A dangerous loophole in Oregon’s daycare laws allow marijuana distributors to live in homes approved as day care facility, placing vulnerable children at risk of exposure to large amounts of pot or tempting edibles with dangerous amounts of marijuana. State regulators allowed a Portland man to have a childcare business in his home while owning a storefront dispensary selling marijuana. Those potentially dueling interests didn’t surface until this summer, after two childcare employees quit and contacted the state. They accused the day care owner, Samuel Watson, of keeping large amounts of marijuana inside his Alameda home and said he was putting children at risk. Watson categorically denies the allegations, and state officials have not found him at fault. Without key employees, Watson in June was forced to shut down his in-home day care and a second location in Concordia. Now, Watson’s girlfriend is trying to reopen the Concordia day care, in the same location, with a new name. And Watson is trying to open a new state-licensed marijuana shop in the North Portland storefront he previously used for medical marijuana. His girlfriend boasts on social media that she is a “proud co-owner” of the recreational cannabis shop. The case highlights a loophole in Oregon’s attempt to separate the burgeoning marijuana industry from day cares that watch over children. In 2015, state regulators forced licensed childcare providers to make a choice: profit from pot or kids, not both. 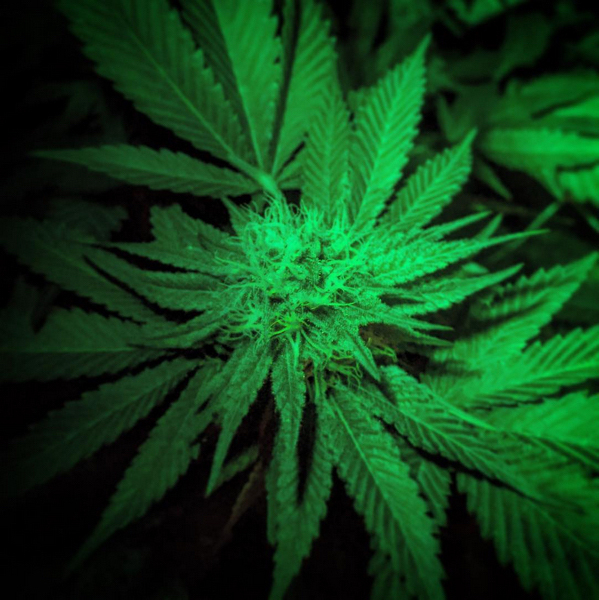 New rules prohibited anyone who applies for a childcare license from growing or distributing marijuana, either at the day care or elsewhere. But the state defines a license holder as the “children’s primary caregiver.” That leaves room for a hands-off day care owner, such as Watson, to keep selling pot. State officials say other rules take care of potential problems. No one can grow or distribute marijuana inside a day care, no adults can smoke cannabis with children present, and adults must store marijuana for personal use under lock and key. Some parents, however, say that letting a cannabis entrepreneur live in a day care facility raises the risk children will be exposed. “The licensing requirements need to change,” said Emily Hensley, who sent her infant daughter to Watson’s Concordia day care. Hensley filed a small claim against Watson seeking $1,100 in reimbursement for tuition and alternative childcare. Others don’t want to rush to judgment. Anthony Taylor, president of Compassionate Oregon, which advocates for medical cannabis patients, said state marijuana rules already offer adequate protections at day cares. Preventing pot entrepreneurs from owning a childcare business could be discriminatory, he said. It’s not clear how many day care owners in Oregon also have a financial stake in marijuana, because the Office of Child Care, the state regulator, doesn’t ask for that information. Nor does the agency review publicly available marijuana ownership records to identify matches. “With the legalization of medical and recreational marijuana by the voters of Oregon, it is important for all levels of Oregon’s government to review existing rules, statutes and policies and update them as needed,” Dawn Woods, the state’s childcare director, told The Oregonian/OregonLive in response to written questions. Dr. Zane Horowitz, medical director of the Oregon Poison Center, said marijuana extracts and edibles pose the greatest risk of harming children when ingested. Allegations against Watson’s day care, called Step by Step, ultimately ended up with Oregon’s Department of Human Services. The agency conducted an “assessment” that remains in process, according to an agency spokeswoman, who declined to release any other information. The day care providers who worked for Watson, Shai King and Bre Murphy, had told regulators they quit because they could no longer ensure the safety of children. They had to clean up “marijuana residue and crumbs” left from weekends and evenings, they wrote. “We have reason to believe large quantities were stored in the residence,” King and Murphy told the Office of Child Care in a June 21 email. Watson, in an interview with The Oregonian/OregonLive, denied the allegations, stating that “every single accusation is completely false.” Watson said the safety of kids was of the utmost importance at his day cares. Watson said he believes his former employees were disgruntled. They had learned, he said, that he planned to replace Murphy. “And then every single thing that they could make up about my business, and cannabis being related to it, has been made up,” he said. Watson, 33, was never the typical day care owner. Watson’s mother, Leslie, started Step by Step in 2003 in the home where Watson grew up. When she died in 2011, Watson became the owner and hired others to run it. The day care netted about $12,000 a month, or $144,000 a year, according to an April 2012 prenuptial agreement between Watson and Erika Yoshida filed in Multnomah County Circuit Court. Watson said those figures were incorrect. “I wish that it netted that much,” he said. Watson said he wasn’t overly excited about the business and kept it open to honor his mom. His passion, he said, was marijuana. Oregon voters authorized medical marijuana in 1998, and lawmakers in 2012 blessed its distribution at storefront dispensaries. Voters in November 2014 legalized cannabis use for everyone. Watson won state approval to open GreenSky Collective that month, according to Jonathan Modie, an Oregon Health Authority spokesman. Watson was listed as the sole owner of the medical marijuana dispensary, on North Interstate Avenue. GreenSky later received temporary permission to sell recreational cannabis. Watson’s then-wife also ventured into the industry, although Yoshida didn’t have an ownership stake in Watson’s marijuana or childcare companies. Erika Yoshida, the daughter of teriyaki sauce magnate Junki Yoshida, brokered real estate deals for pot businesses, according to media reports. In fall 2015, Willamette Week dubbed Watson and Yoshida the “Power Couple” of pot in an edition about marijuana entrepreneurs. But by early 2016, Watson and Yoshida had separated, according to Yoshida’s divorce filing. Watson moved into his boyhood home in Alameda, where the day care was still running. Problems soon followed, according to King, who worked for Watson starting in 2012. In an interview with The Oregonian/OregonLive, King said she saw Watson store marijuana at the house last year in large plastic tubs kept upstairs, where children were not allowed. The bins did not have special locks, she said. King said she witnessed him open a bin and scoop out some pot. King said she told Watson she wanted to buy marijuana from his dispensary. “He’s like ‘Oh, no, I’ll get you it for free. Just come up,'” she told The Oregonian/OregonLive. King said Watson gave her the marijuana after the day care closed for the evening. She said she didn’t pay Watson for the pot. King, who later secured a $2,457 judgment against Watson for back wages, said she also saw Watson smoke marijuana in his home. She said Watson smoked pot upstairs, during business hours, when kids were in the home. Watson denied smoking marijuana when children were in his home. “Absolutely not,” he said. King said she and other employees found marijuana remnants in areas accessible to children, such as small tables used by pre-school-aged children. Watson said there was “no way” marijuana remnants could be there. King also said she once saw an unlocked handgun on Watson’s night stand at his Alameda home. Watson acknowledged owning a handgun. But he said it’s stored in a locked safe at his father’s house. Medical dispensaries were allowed to sell recreational marijuana only through the end of 2016. Watson said he shut down at the beginning of 2017. He then took steps to expand his day care business. Watson tapped King to oversee a new Concordia childcare location in February. Her name was on the license. King told The Oregonian/OregonLive she had other concerns beyond marijuana. King said employees’ paychecks occasionally bounced and the company didn’t always provide adequate food to feed children. At the Concordia location, she said, the water got shut off. The Portland Water Bureau confirmed a shut off and reconnection on April 19. As the primary provider at the Concordia location, King was the one who the state would hold accountable, she said. “It was very stressful,” said King, 24. Watson acknowledged financial challenges. He blamed some of the issues King raised, such as food shortages and utility shut offs, on poor management by his employees. On June 20, King and Murphy contacted the state to voluntarily close the two childcare locations. In reality, the Office of Child Care had known that Step by Step’s owner was in the marijuana business for ten months but sat on the information. In October 2016, a tipster had called the licensing agency to allege that children were left unsupervised at the Alameda day care during lunch. Woods, the agency director, said her office investigated but was unable to substantiate the allegation. But the tipster also told the agency about Watson’s marijuana business and provided its name and location, according to documents obtained by The Oregonian/OregonLive through a public records request. It was still operating at the time. That information, manually entered into the state’s childcare database, apparently set off no alarms. Woods said regulators didn’t take note of Watson’s marijuana business until August, two months after King and Murphy wrote their email. Woods said her agency learned about Watson’s business after contacting the Oregon Liquor Control Commission. State regulators are now deciding whether businesses owned or linked to Watson and his girlfriend, Ava “Nusheen” Bakhtiar, should qualify for new marijuana and childcare licenses. Watson asked the state liquor commission to license his old dispensary, GreenSky Collective, to sell recreational marijuana. Watson is the only listed owner, according to Mark Pettinger, a liquor commission spokesman. Watson also registered a new business at the same address called Jeffrey’s Flower & Oil, according to filings with the Secretary of State’s Office. The Jeffrey’s logo now dots storefront windows and the side of the building. Watson said he is considering using Jeffrey’s as the assumed business name for GreenSky Collective. Watson’s girlfriend portrays herself as a business partner in his marijuana shop. On her Instagram profile page, Bakhtiar calls herself a “Proud co-owner of Jeffrey’s, a North Portland Dispensary.” She wrote in June that she “partnered” with Watson to open Jeffrey’s. Watson told The Oregonian/OregonLive that Bakhtiar is not an owner of Jeffrey’s and that her social media writings overstated her position. In an email, Bakhtiar said she regularly uses Instagram to convey “a sense of ownership for every company I work for,” adding that doing so helps promote brands and generate sales. The liquor commission has reviewed Watson’s application to open a dispensary, but it is incomplete, the agency said. Meanwhile, the Office of Child Care is considering an application involving Bakhtiar to open a new day care at Watson’s old Concordia location. It’s likely to be approved following a state inspection, according the agency. Only Bakhtiar is listed as owner, the agency said. But in records filed with the Secretary of State on July 26, Watson and Bakhtiar are both listed as owners of the new day care business, known as Luna Mamas. Watson said he is working with the Secretary of State to have his name removed as an owner. Nine families have filed small claims against Watson and Step by Step this summer, seeking more than $9,300 in total. One of the parents, Jenny Cole, has filed a $500,000 lawsuit claiming negligence and alleging marijuana possession and use in the home. The lawsuit names Watson, Step by Step, Bakhtiar and Erika Yoshida as defendants. Yoshida declined to comment. Parents contacted by The Oregonian/OregonLive generally said they didn’t have any problems with Step by Step until learning about the concerns that the staff raised this summer. Mandy Williams, who sent her youngest daughter to Watson’s day care, said the state needs to prohibit marijuana entrepreneurs from owning day cares inside their homes. Absent a change in state rules, Williams said, Oregon should force day care owners to disclose their marijuana interests to parents. Bakhtiar, who is trying to get her day care licensed, told The Oregonian/OregonLive it is discriminatory and hurtful to question if a marijuana entrepreneur can also own a childcare business. In a state where marijuana use is as accepted as social drinking, Bakhtiar, 28, proudly shares her interests in cannabis online. An Instagram comment from January expressed her gratitude after finding work at a marijuana laboratory.